One of the greatest challenges facing the United States in the 21st century is how energy is produced and consumed. The country’s dependence on foreign oil is often cited as a security risk, the Achilles’ heel of our economy. The concern is understandable: America consumes a quarter of the globe’s daily production, producing high levels of carbon dioxide and other emissions that many believe are contributing to global warming. Ethanol pulled into the fast lane in Missouri this year when Gov. Matt Blunt approved a bill requiring that gasoline sold in the state be blended with at least 10 percent of the corn-based biofuel by Jan. 1, 2008. As with most alternative sources of energy, ethanol has significant benefits: it‘s a clean-burning, high-octane fuel that can help keep gas prices down by increasing and diversifying the nation‘s fuel supply. Yet there‘s a major catch: energy is needed to grow corn and turn it into ethanol. In ethanol production, the starch portion of the corn is fermented into alcohol and then distilled. 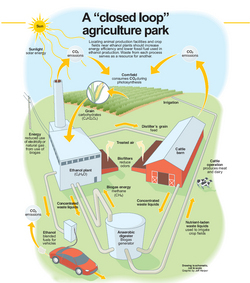 Natural gas and electricity are used to run the ethanol plant, powering everything from the hammer mill that grinds the feedstock into a fine powder to the boilers that liquefy the starches. 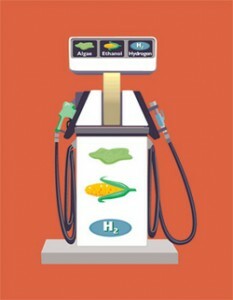 By 2015, drivers may be less concerned about gas mileage than about hydrogen storage. By 2030, the United States’ dependency on foreign oil to power our cars and trucks could be a thing of the past. A few years later, homeowners might be able to drop off the grid, generating their own power from in-house fuel cells and leaving behind nothing but clean, potable water. Yangchuan Xing, assistant professor of chemical and biological engineering, is working to bring these possibilities into reality using polymer electrolyte membrane (or PEM) fuel cells. 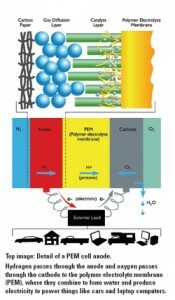 In a PEM fuel cell, electrons are conducted across two electrodes with a polymer membrane sandwiched between them. The anode is fueled with hydrogen to produce protons and electrons. The polymer membrane conducts the protons through to the cathode, where they recombine with electrons and oxygen to form water, the only byproduct of a PEM fuel cell. 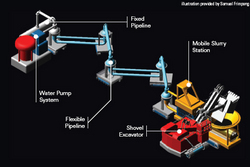 The process creates the electricity to power devices from laptop computers to cars to homes. “It’s a very environmentally friendly process,” Xing says. Soldiers at Fort Leonard Wood, Mo., may soon get the chance to reduce their use of fossil fuels and ease the strain on their wallets – just by sitting down. The idea is simple. A public transit system would transport commuters along the Interstate 44 corridor, from Fort Leonard Wood to Rolla and Lebanon. 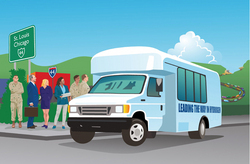 If successful, hydrogen-powered shuttle buses would then retire the gasoline-powered fleets, creating the first rural test site for the federal government’s hydrogen technology program. Personal energy audit: What can YOU do? 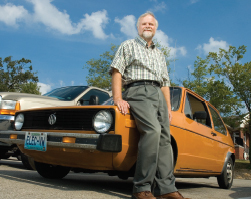 The UMR Magazine staff caught up with John Sheffield of UMR’s Industrial Assessment Center to find out what the average consumer can do to conserve energy. The IAC conducts energy audits for companies to help them cut their energy costs. Sheffield says real energy savings come through the use of energy-efficient appliances. And apparently, it’s all about reading labels. When it comes to the future of energy production, Chevron Corp. sees college graduates – particularly UMR graduates – as one of its most valuable resources. This summer, Chevron donated $1.5 million to UMR to establish an educational and research partnership that will help meet the needs of the energy industry.